Title – Nanu Lover of Janu, Producers – Chandru KV, Raju Kalkuni, Vishnu Bhandari, Ravishanker, Direction – Suresh G, Music – Srinath Vijay, Cinematography – Shiva B Kumar, Cast – Vishal, Manjula Gangappa, Rohit, Vishnu Bhandari and others. Debutant director has given a new thought to love story. The scientific invention that is sure to create revolution is laced with the love story. What happens to that scientific move by the lovers is explained in gripping style. In this film story is villain. The circumstances that lead to various consequences are portrayed in different moods in the film. 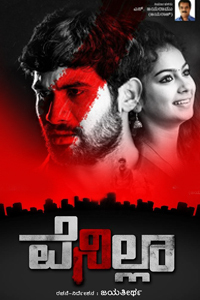 Vishal is teamed with Manjula Gangappa in the cast. Natural feel is another plus point of this film. There is no extra take from the actors of this film. Dialogues are picked from the middle class people. Yogaraj Bhat has given commentary for this film ‘Nanu Lover of Janu’. Four songs are composed by Srinath Vijay of Chennai for the lyrics of Dr V Nagendra Prasad. Shiva B Kumar cinematography, Shivu editing, Vikram Mor stunts part of technical team.